With so many stunning geographical features to choose from, southern New Zealand offers the opportunity to cover a vast range of landscapes within a short timeframe. 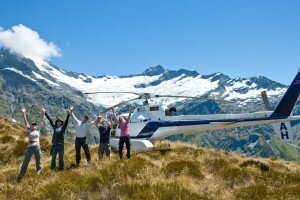 With Aspiring Helicopters Wanaka Scenic Flight Charters, why not create your own personal itinerary taking in the locations and phenomena you would like to see and experience. Our helpful and knowledgeable team will be more than happy to assist you to create a personalised Wanaka Scenic Flight Charter tailored to suit your needs. From heli-transfers ex Queenstown airport to your Wanaka accommodation to hiring a helicopter for the day anything is possible and we are more than happy to provide quotes for individual needs.